Carey Lohrenz knows what it takes to win in one of the highest pressure, extreme environments imaginable: in the cockpit at Mach 2. As the first female F-14 Tomcat Fighter Pilot in the U.S. Navy, having flown missions worldwide as a combat-mission-ready United States Navy pilot, Lohrenz is used to working in fast moving, dynamic environments, where inconsistent execution can generate catastrophic results. The same challenges are found in business: markets change, customer needs evolve and if you do not adapt quickly your company is at risk. In her motivating and engaging keynote presentations, Carey shares her fascinating experiences operating in one of the world's most challenging environments - an aircraft carrier. She is uniquely qualified in the fundamentals of winning under pressure, reducing errors and overcoming obstacles. Carey Lohrenz’ New York Times Best-seller, Fearless Leadership: High-Performance Lessons from the Flight Deck was released October, 2014. 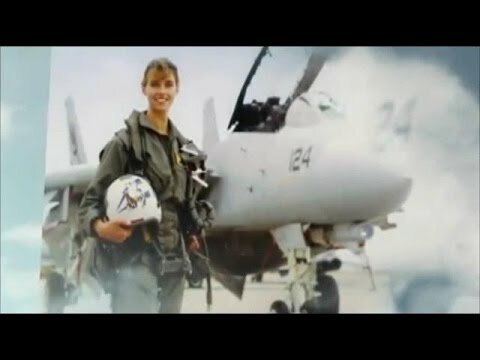 Carey Lohrenz’s extensive experience operating in one of the world’s most challenging environments, an aircraft carrier, and her unique position as one of the first female fighter pilots make her a highly sought after leadership training expert, team building professional and motivational keynote speaker. Through Carey Lohrenz’s high energy motivational keynotes and leadership seminars, she engages, educates and inspires organizations to achieve peak performance. Carey recently published her first book, Fearless Leadership: High Performance Lessons From The Flight Deck. In this book she shares an F-14 fighter pilot's top lessons for leading fearlessly--and bringing a team to peak performance. 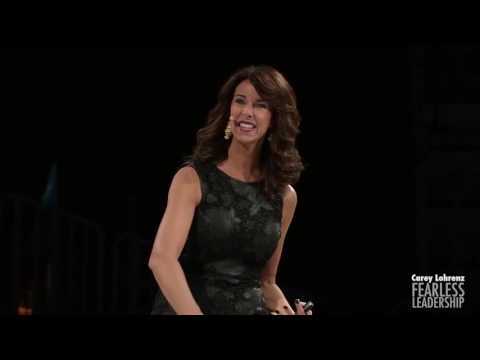 Carey Lohrenz’ timely message about High Performing Teams and developing a Culture of Learning is based on the best-practices of high reliability organizations. The processes of Planning, Briefing, Debriefing and Adjusting help businesses manage risk while becoming a High Performing Organization. This message resonates with diverse audiences at every level of the company. As one of The Corps Group’s most dynamic speakers, Carey has been requested by name from some of the top Fortune 100 businesses. Her ability to connect with both an audience and on a one-on-one level, coupled with her knowledge and experience in leading high-performing, diverse teams, has made her highly sought after as a business consultant and speaker. -Be a Catalyst. Make change happen by focusing on what matters most. -Be Tenacious. Overcome your fear of failure. -Be Committed to Excellence. Prepare, Perform, and Prevail to accomplish seemingly impossible missions every day. -Be Resilient. Turn adversity into success. An industry pioneer and team performance accelerant, Carey is uniquely qualified in the fundamentals of Leadership, Teamwork, Winning Under Pressure, Reducing Errors, and Overcoming Obstacles. This highly popular leadership keynote will challenge, inform, and inspire your team to move to higher levels of performance in these difficult economic times. Lohrenz offers bottom-line expertise with clear, realistic takeaway items for audiences that can produce both short-term and life changing results. Just like in aviation in a rapidly changing global environment, speed is life. Collaboration is critical to business success and managing successful strategic partnerships is crucial. Competitive advantage is gained when your organization can optimize partnerships and strategic alliances. Deeper relationships with partners can be the key to long term success and growth. In this inspiring and engaging keynote, Carey shares what it takes to be on the ‘Leading Edge.’ Those things that helped her succeed in one of the most extreme environments on earth can help elevate your team to gain advantage and uncover opportunities. A successful career, a happy family, and a balanced personal life leave little time for many people to nurture their dreams. As a former Naval Aviator, a corporate executive, and as a busy mother of four, Carey “Vixen” Lohrenz knows first-hand the challenges of navigating the many demands of daily work-life balance. In this riveting and inspirational keynote speech, Carey will inspire you to ‘Be the Catalyst’ and look beyond your circumstances. Just as pilots do a “systems check” before takeoff, Carey’s motivational speech will walk you through a Pre-Flight Check on your journey towards success. -Belief in Yourself and Your Abilities. To be successful and ultimately take charge of your life, overcoming lack of self-belief is one of the biggest hurdles you need to overcome. -A Firm Commitment. Be unwavering and purposeful in your actions. -Clarity of Purpose. Clarity of purpose and a clear picture of precisely what you want to achieve are key factors in achieving success. -Make a Plan – Stay Focused. Keep life’s distractions and interruptions at bay by creating your plan – and sticking to it. In a challenging economic environment, remaining relevant to your customers and within your organization is critical to your survival. Those who fail to deliver value to their consumers, shareholders, clients, and teammates become extinct. Could that happen to you? In aviation, complacency kills. The same is true in business. If you become complacent and ignore the warning signs (shifts in culture, trends, global demands, budget restrictions), you could be facing extinction. In this energizing and empowering keynote, Carey shares the fundamentals that can help your team win in business by learning the importance of remaining relevant, how to accelerate performance, how to stay agile and adaptable, and how high performing teams become excellent.